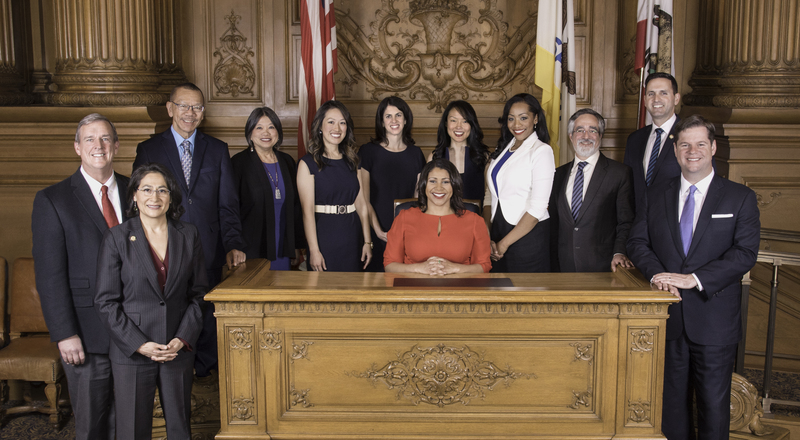 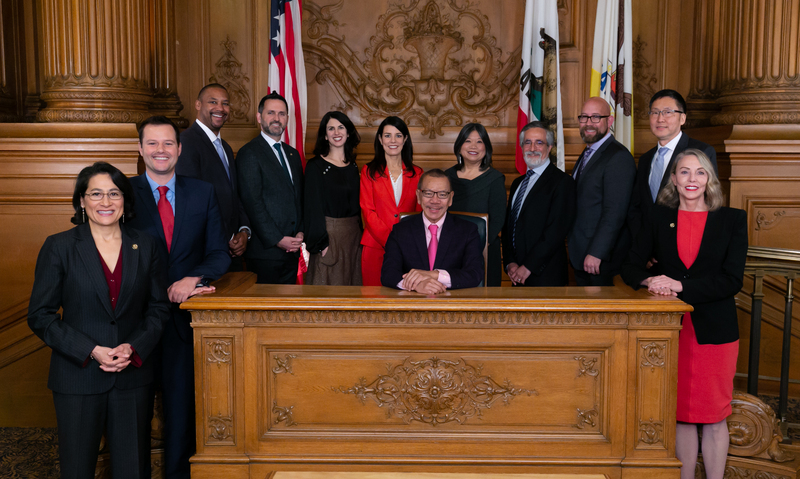 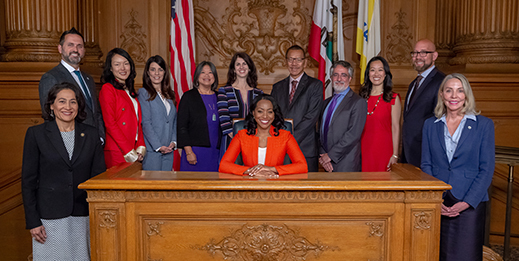 Pursuant to the Charter of the City and County of San Francisco, the Board of Supervisors meets at the Legislative Chamber in City Hall at 12:00 noon on the eighth day in January in each odd-numbered year. Note: * Denotes a photo not taken on the Inaugural Day. 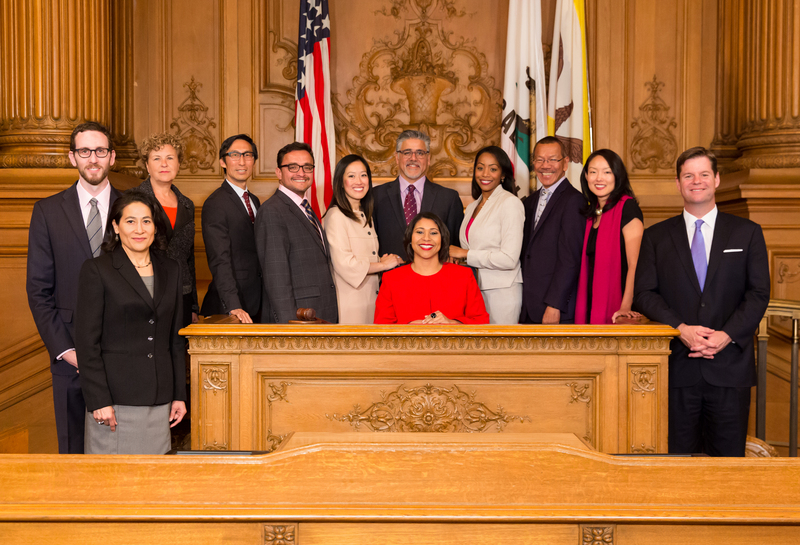 If a Supervisor was appointed between election years, he/she may not appear in the Inaugural Day photograph. 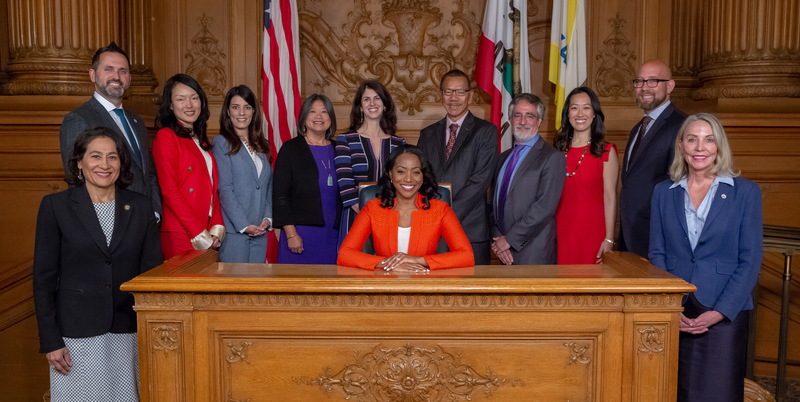 Note: Click on the photo to open high resolution copy. 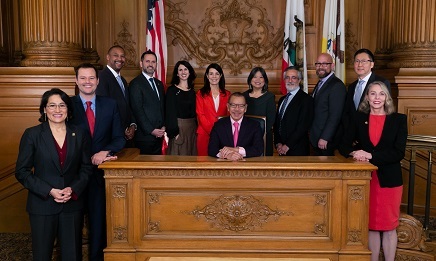 After opening, right click on the photo to save image.